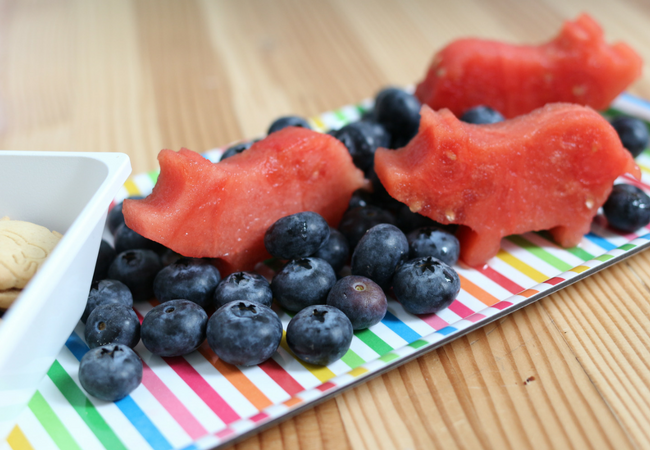 We had an Elephant & Piggie playdate thanks to our sponsor Disney-Hyperion! I don”™t usually plan out play dates, I tell the kids that the TV stays off, the iPad is put away and I shoo them off to play. However from time to time turning a play date into a themed event is just plain fun. 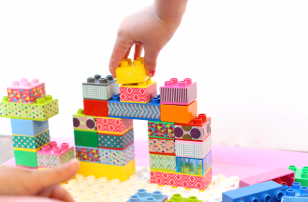 It is also great if maybe the kids haven”™t spent a lot of time together like if one child is new to the school or anything else that might be making jumping into play a little hard. 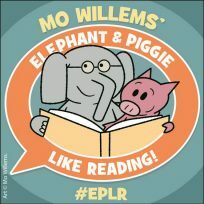 I was asked to come up with a fun way to explore the new Mo Willems”™ Elephant and Piggie”™s We Are in an ART-ivity Book! that is out in stores now, and share it on my blog as a sponsored post for the #ReadMo ambassador program with Disney-Hyperion. It didn”™t take long before I knew what I wanted to do; Make the easiest ever play date that totally looked like I slaved over every detail. Trust me I didn”™t, I am the most impatient person ever and if I can”™t throw it together in 15 minutes or less, I am not doing it! 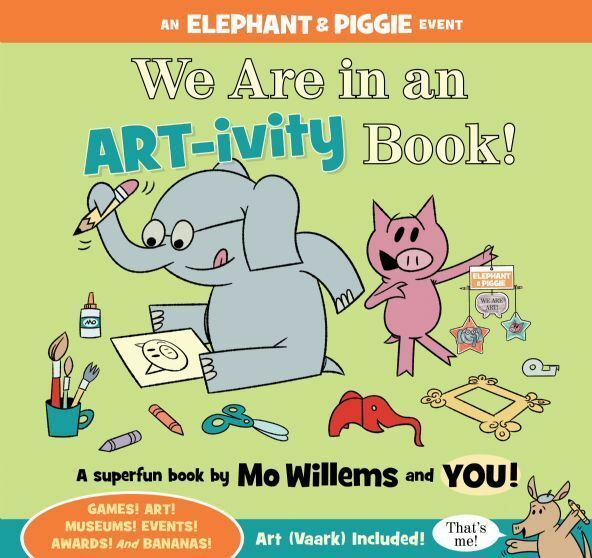 Grab some snacks, some great Mo Willems Books, markers, and of course the We Are in an ART-ivity Book. 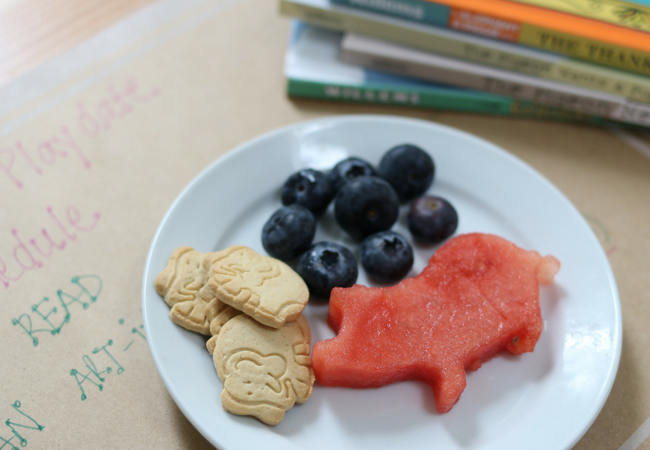 If you want you can also grab a tray and container for the crackers and some paper placemats, they were an impulse buy when I grabbed the pig cookie cutter but they worked out great to have the playdate schedule not to mention the kiddos can draw on them too! 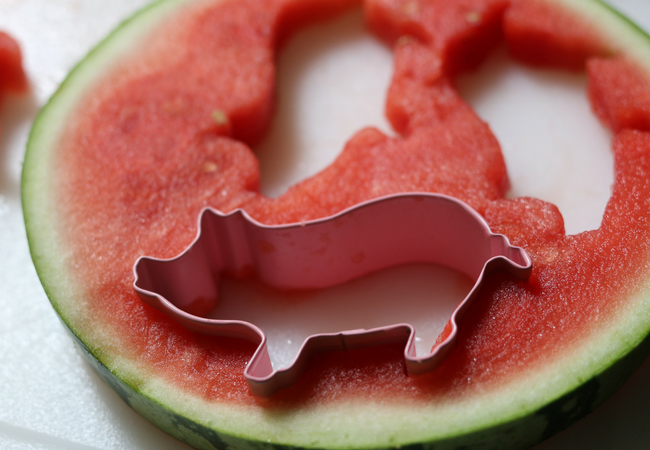 Slice up some watermelon and using the pig cookie cutter I made little piggies that can actually stand! 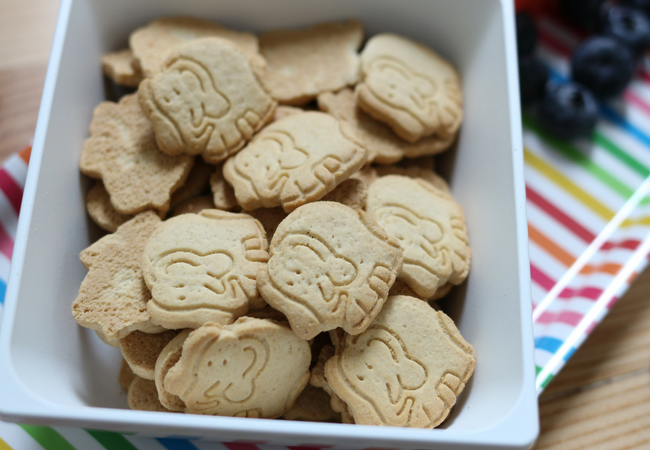 Next, I poured the animal crackers in the dish, popping all the elephants on top. We are going with a theme people, roll with me! Eat. 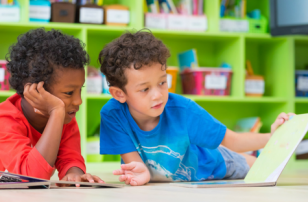 Always give kids a snack after school it helps calm them down and whether it is homework or a super fun ART-tivity playdate fuel helps them concentrate and be their best. While eating sit down with the kiddos and read to them, these few quiet moments are great for recharging after a day of school too. 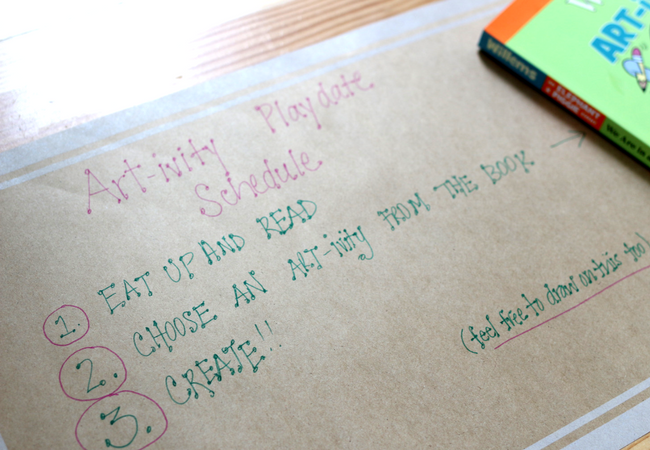 Time to choose the activity from the ART-ivity book. 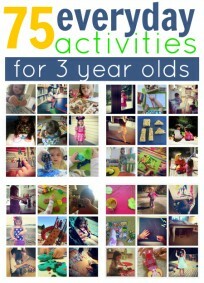 This was tough, my daughter pretty much wants to do everything in this book right now. 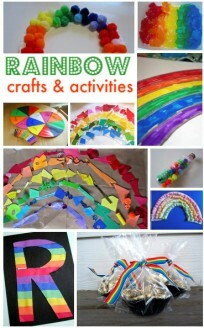 And I can’t blame her, this book is amazing and totally accessible for parents who are not at all crafty. 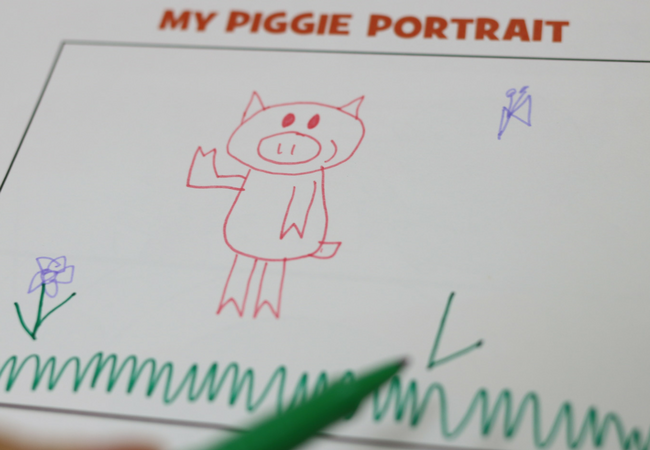 We decided to learn how to draw Elephant and Piggie. The instructions were super helpful and I loved that there were multiple spots to keep trying to draw these awesome characters. This helped guide the kids to keep trying and not give up after one attempt. Also, the pages ripped out beautifully. I was so worried the pages would tear unevenly but nope, they came out easy peasy. After all the practice, the kids drew a great Elephant & Piggie to take it home. 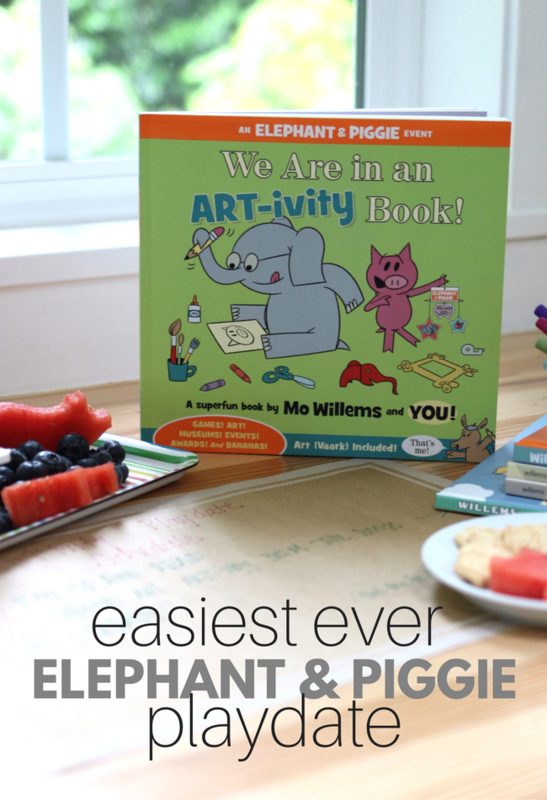 The book is packed with ideas and I am sure that more Elephant & Piggie play dates will be in our future and I will actually say yes because it was so easy to throw together! Drawing! Coloring! Sculpting! Gaming! Puzzling! LOLing! 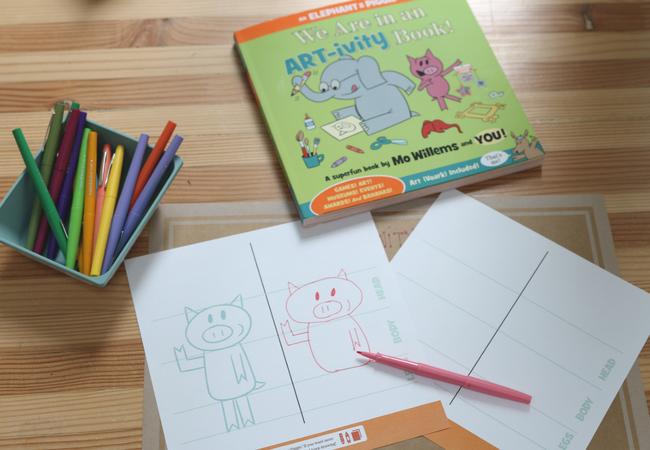 It”™s all here in the first-ever Elephant & Piggie ART-ivity book. 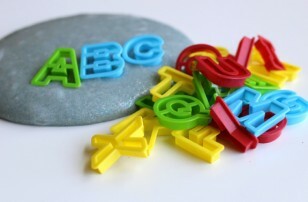 Elephant & Piggie are joined by Art Vaark who is taking Elephant and Piggie for a new adventure into the world of art. 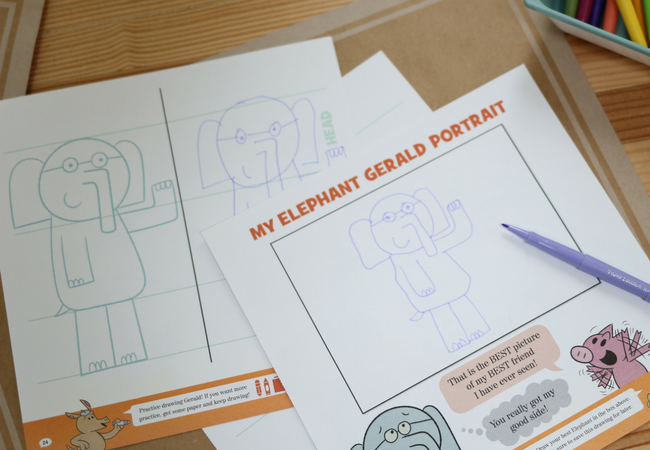 Art the aardvark introduces Elephant, Piggie (and readers) to an incredible span of artistic styles like still life, sculpture, collage, and so much more. 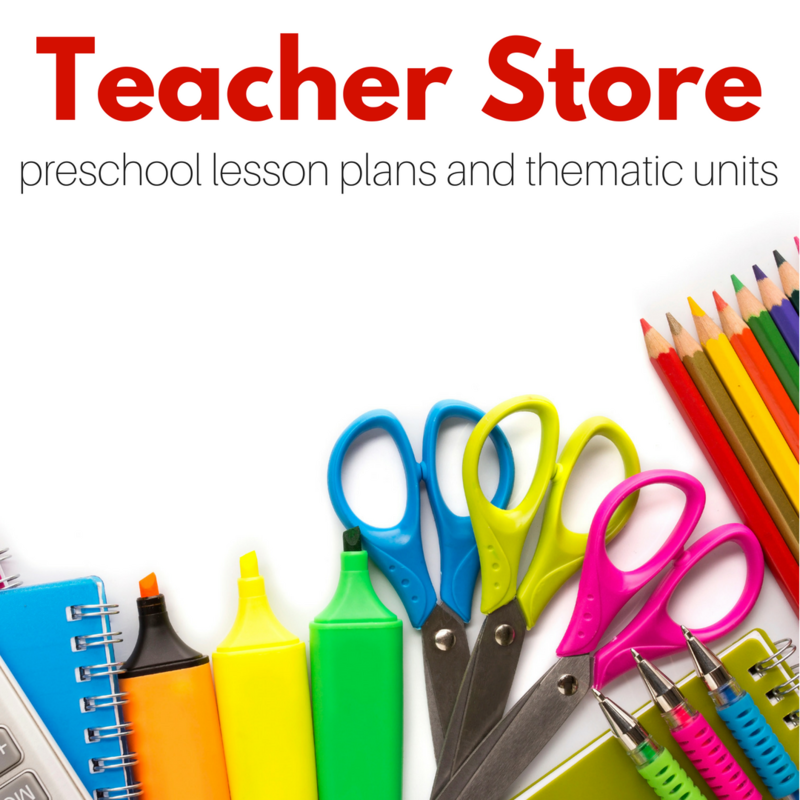 Created by the same team behind Don”™t Let the Pigeon Finish This Activity Book!, this fun-filled, hands-on book features an interactive narrative with beloved characters that makes this book stand out among activity books.